MANILA, Philippines — The Philippines should be wary about the Chico River Pump Irrigation Loan Agreement because it could potentially allow China to take the gas-rich Reed Bank (Recto Bank) in the West Philippine Sea if it is unable to pay the $62-million loan, Supreme Court Senior Associate Justice Antonio Carpio warned. “In case of default by the Philippines in repayment of the loan, China can seize, to satisfy any arbitral award in favor of China, ‘patrimonial assets and assets dedicated to commercial use’ of the Philippine government,” the senior magistrate said. The deal, said to be the first flagship infrastructure project to be financed by China under the administration’s Build, Build, Build program, was signed in April 2018. The rich gas field in Reed Bank falls under the category of “patrimonial assets and assets dedicated to commercial use,” Carpio said. Seismic surveys have indicated that Reed Bank is rich in oil and gas deposits. 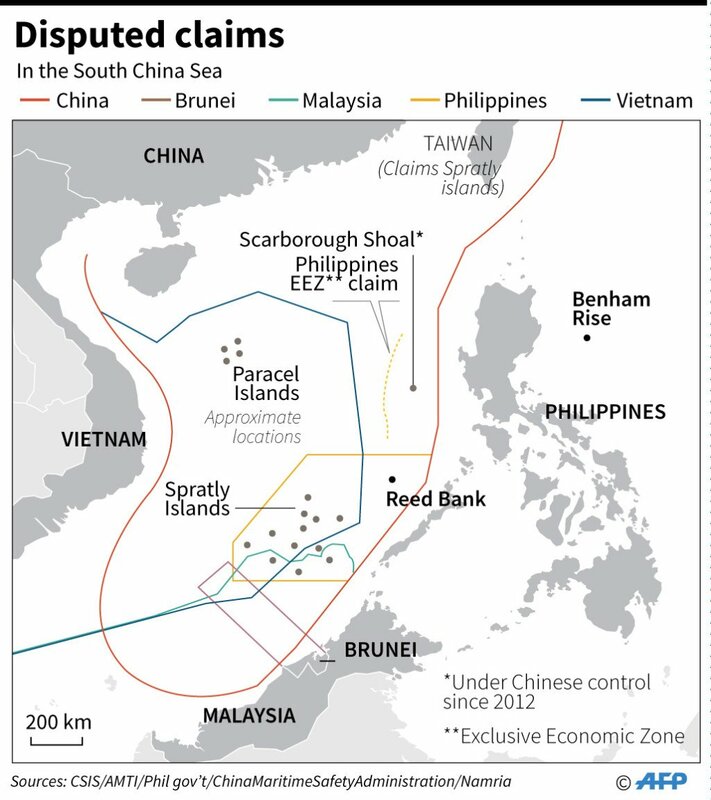 Based on the 2016 Permanent Court of Arbitration ruling, it is within the Philippine exclusive economic zone, thus the government can explore and exploit resources there. China, which has rejected the ruling, is also claiming the Reed Bank. Carpio warned that the loan agreement is governed by Chinese law: “In case of dispute, arbitration shall be conducted by the China International Economic and Trade Arbitration Commission (CIETAC) under CIETAC arbitration rules. “The award of CIETAC is final and binding. The arbitration shall be held in Beijing. The Philippines expressly waived any sovereign immunity on “the enforcement of any arbitral award,” he said. Under CIETAC rules, “China will always have a majority in the arbitral panel,” and Carpio said the Philippines won’t have a chance of winning. Carpio also put a spotlight on the confidentiality clause of the loan agreement, which is not in line with the Philippine Constitution that says Filipinos have the right to information and access to documents of public concern. Early this month, government officials guaranteed that a number of agencies vetted the China loan before it was approved. Still, Carpio cautioned that the Philippines might end up like a few countries falling into China’s debt trap.